Calgary’s preferred supplier and installer of surveillance cameras. Why choose surveillance cameras for your business? The first type has a camera body, to which lenses of different focal lengths and/or fixed or variable irises, may be attached. 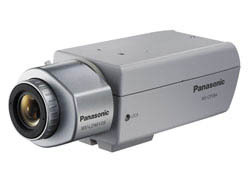 Because of it’s flexibility of configuration, this type of camera is normally used in most commercial video surveillance systems. The second type is basically a fixed lens mounted on a circuit board (board cameras). These cameras may be packaged in a small case (Mini Cameras) or dome (Mini Dome) or simply sold unpackaged. Lenses in these cameras are either of a normal industry aperture or a “pinhole” lens of very small aperture. Pinhole lens cameras are often called “spy” cameras and may be mounted in a concealed way for covert surveillance purposes. Once used almost exclusively by large corporations, government buildings, and casinos, Pan-Tilt-Zoom (PTZ) CCTV cameras have now become much more affordable and offer better performance than just a few years ago. PTZ cameras are able to rotate horizontally through 360, vertically through 90 and have electrically powered zoom lenses capable of giving better than fifteen times optical zoom. Movement can be very fast and is controlled through a connected controller and/or through an appropriate DVR. 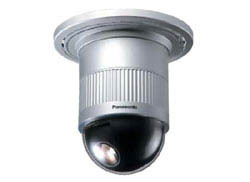 PTZ cameras are normally mounted in domes and when used outside, the domes are weatherproof and cooled and heated. PTZ cameras have the ability of being used simultaneously with an alarm – therefore if the alarm senses motion at the back door – the camera can automatically move to that location and record video of that area. For cameras to work effectively – they need to be viewed live to a security monitor – or attached to a recorder. The era of analog closed circuit is coming to an end, these programs are being taken over by new computer programs. Over the years surveillance cameras have been increasing in technology, Surveillance companies have been trying to produce a better surveillance camera that is more advanced. Finally the perfect camera was introduced; the IP camera. The IP camera not only allows two-way audio single network cable users to communicate with what they are seeing, it also has a higher image resolution! And it is able to function on a wireless internet connection. Many surveillance companies have been comparing the IP camera to the standard analog camera and have come to the conclusion that the IP camera is a safer device and you have more control and more power on it, for example, users are able to stream live video via packets across an internet protocol network. 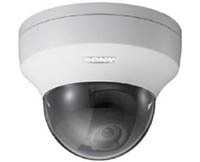 At first, the analog and IP camera look the same, the analog camera uses delicate wiring, but the IP camera connect to computer networks allowing video to be transmitted over the same wiring and cable. Analog cameras turn the video into a format that can be received by a television or things such as a VCR or monitor. An IP based camera, digitizes the video signal using a specialized encoder that contains an onboard web server, this allows the IP camera to act as a network device, allowing captured video images to be seen not only through an existing network but also through a web browser that can be accessed through the Internet. Ken Moen, owner of Certified Alarms a successful alarm and surveillance company, is encouraging people to use and buy the IP camera over the analog option. 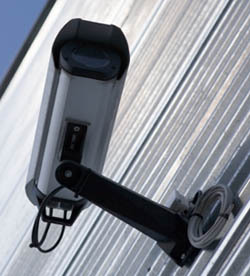 IP cameras offer superior picture quality and oftentimes the video will be upheld in the courts. Details such as profiles, writing, and license plates are far more legible. 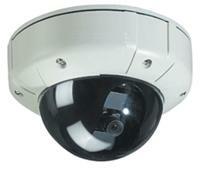 IP cameras also offer different megapixel models. Distance, width, and field of view will help determine type of IP camera and the recommend megapixels for the specific application. Because IP-based cameras are their own network device, you can often take advantage of existing network wiring inside your own home. This can make the installation work much easier.